Create the perfect kitchen with high quality cabinets and accessories - in-stock and special-order cabinetry at amazing prices from popular brands! 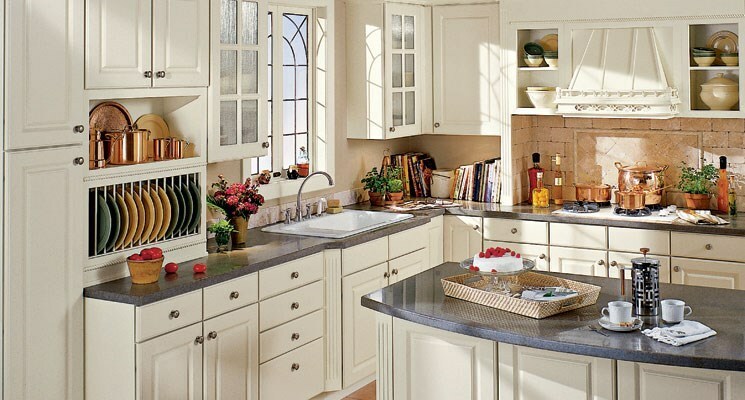 For only the highest quality cabinets, brands and styles, turn to Lakeland Building Supply. We take great pride in the brands we carry for all of your wholesale building supplies requirements. Whether you need to spruce up a kitchen, bathroom, home office or any other area in a household, you can rely on Lakeland Building Supply to distribute topnotch items. Lakeland Building Supply is a leader in wholesale cabinets and it shows in our dedication to providing our customers with only the best wholesale building supplies available. For more information about the items and services we carry, please feel free to get in touch with us or visit our showroom today! Save big on cabinetry and accessories from popular brands such as Mid Continent, Omega, Kitchen Craft and more.